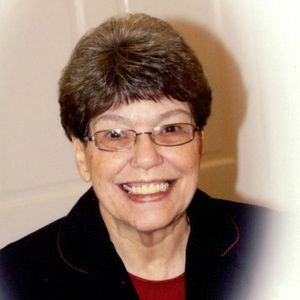 Brenda Evers Sykes, 72, of Bladenboro entered into eternal rest on Tuesday, February 19, 2019. She was preceded in death by her parents: Tommy Evers and Lois High Evers, husband Rudy Sykes, two brothers: Clyde Evers and TF Evers, three sisters: Bernie Weaver, Melba Bryant and Judy Christian, and one grandson: Bobby. Ms. Brenda leaves behind one son: Cory Sykes and wife Lynn of Bladenboro; one daughter: Kim Smith and husband Craig of Bladenboro; three sisters: Juanita Hester, Wilma Hester, both of Bladenboro and Catherine Edwards of Clarkton; five grandsons: Donavon Smith (LeeAnn), Austin Sykes, Cody Sykes, Brycen Smith and Hunter Sykes. She also leaves two granddaughters: Crystal Gause (Dustin) and Michelle McLean. Ms. Brenda was a loving wife, mother, grandmother, sister and friend. She cherished her family and enjoyed having them all together. Ms. Brenda was an active member of Oak Grove Original Freewill Baptist Church in Bladenboro, where she served as the piano player until her health wouldn't allow it any longer. She practiced often just to be sure everything was done just right. Ms. Brenda enjoyed looking her best at all times. She was a most humble soul but could be lovingly blunt at times. The sound of her playing those lovely piano keys will be missed here on earth but most welcomed in that heavenly choir. The family will receive friends from 5-7 pm on Wednesday, February 20, 2019 at Bladen Gaskins Funeral Home in Elizabethtown. A funeral service is planned for Thursday, February 21st at 3:00 pm at the Oak Grove Original Freewill Baptist Church in Bladenboro. Burial will follow the services in Bladen Memorial Gardens in Elizabethtown. Add your thoughts, prayers or a condolence to Brenda 's guestbook.